This is one of our hottest sellers! 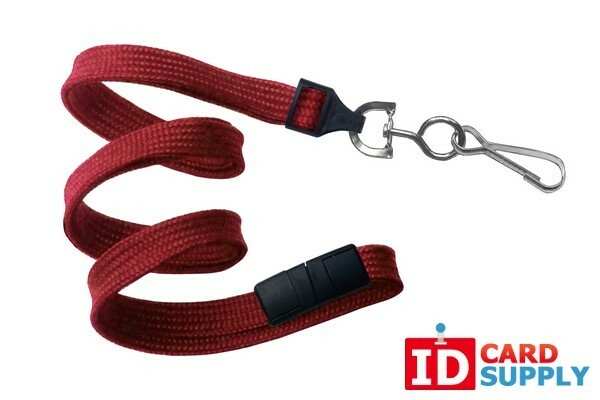 This lanyard is available in Black, Red, White, Green, and Navy Blue. Each lanyard has a 3/8" breakaway safety strap and a nickle plated swivel hook ending to attach to your cards, badge holders, keys, or whatever you please. As this is such a popular item we offer you no minimum order quantity but save with quantity discounts if you need more than one!